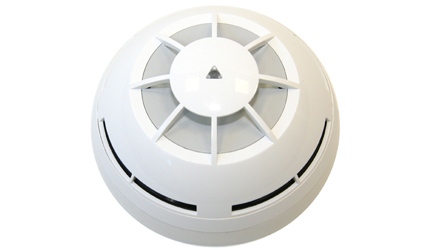 The Axis Wireless Heat Detector has been designed to fully meet the requirements of European Standard EN54-5. The detector has the same low profile mechanical design as that of the hard wired 20-V350-ADV device. Each detector will automatically adjust its frequency and manage its power radiation in accordance with the signal quality received from the Axis wireless translator module.